Shuttle buses will replace service on the MBTA Green Line D Branch on Wednesday for several stops after a tree fell on some wires. MBTA Director of Communications, Joe Pesaturo, tweeted a photograph of the downed tree near Brookline Hills. 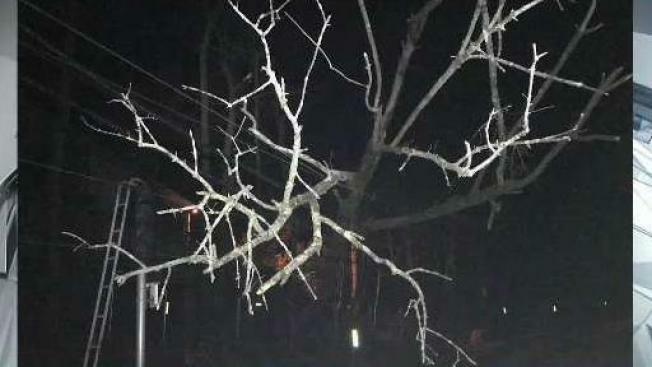 The tree stretched across several wires after powerful gusts hit New England overnight. The MBTA said service between Kenmore and Reservoir will be replaced by the buses until further notice. Pesaturo said in a Tweet that repairs were completed by 7:45 a.m. and crews are currently working to restore power to the Green Line in the area.